Give your lawn a nice drink! Spring is here and lawns are starting to come back to life. How do you know if you need to water them properly and how should you do it? Well, lawns require a good two-hour soak to really get the hydration they need. 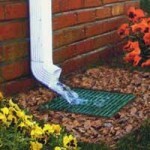 Now, we know that watering them with a hose can be a real hassle, so installing a sprinkler system can be ideal. But where do you begin with this process and what are the real benefits? Let’s find out! So, how do you know that installing a sprinkler system is right for you? Well, take a look at your lawn. If it isn’t getting the hydration that it needs it will probably be patchy, yellowish, or just plain dead. If you care about your lawn then you need to make sure it is getting the nutrients it needs. Now, if you don’t have the time to periodically soak your yard yourself then you need to find a way to get it done. Why break your back over this? 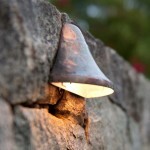 It’s much easier to simply leave it to the professionals to get your yard taken care of. 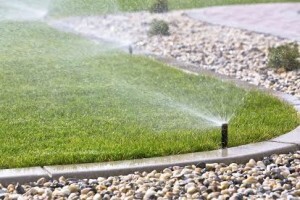 We can help you examine your yard and tell you whether or not a sprinkler system is right for you yard, which kind you may need, and the kinds of permits that an installation will entail. We’re here to answer any questions you may have before, during, and after the process. Certain neighborhoods or other communities require that your lawn remain healthy and attractive. So, if you live in one of these neighborhoods then the health of your lawn is paramount. Not only that, but a healthy lawn will be more fun to play in if you have children because it will be softer. A healthy lawn is a place to make beautiful memories in. 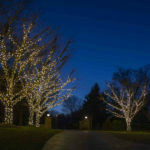 Why not take advantage of the opportunity to take pride in your lawn? Besides, leaving your lawn without a sprinkler might be leaving it to die. Watering it yourself can prove to be a challenge. What if you go on vacation? You wouldn’t want to abandon your lawn, would you? 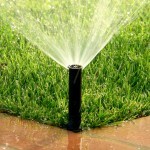 Call Aqua-Bright to consult an irrigation specialist. 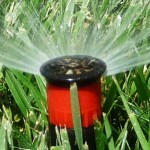 We can help you find the right sprinkler system for your yard. Call Aqua-Bright today at 410-489-9009 or take a tour through our website. This entry was posted on Saturday, April 11th, 2015	at 7:35 pm	. You can follow any responses to this entry through the RSS 2.0	feed. Both comments and pings are currently closed.